Does Your Profession Require Higher Degrees? This question is immediately relevant to undergrad students and new professionals. If you know for a fact that your profession requires a higher degree, fit that into your career plan as soon as you can. If not, then don’t worry about it right now, but revisit the question down the road as trends change. When Will I Need a Higher Degree? If you answered “yes” to our first question, the next question becomes “When?”. College students, if you know you need your advanced degree before you can even get a job within your field, you better start applying! After talking to mentors and your network, if you discover an advanced degree won’t be needed until 10 years down the road, it’s safe to shelve your grad school plans for now. Will this Increase Job Prospects? Many might think that a grad degree will boost their marketability within this competitive job market, but this is not always the case! Depending on your industry, you might become overqualified for many positions and severely limit your prospects. However, you might not even be considered for jobs without it in other industries. Know the job market for your industry inside and out to avoid this issue! Does Your Company Encourage Higher Degrees? According to Slate, 58.6 percent of students completing a master’s or professional degree borrowed money for graduate school in 2012, and among that group, the median grad borrowed $41,000. To compare, the median undergraduate borrower had $27,000 in debt. * Higher education comes with a price tag, so take a look at your budget and make sure you’re ready! Will it Increase Your Earning Potential Enough? Many professionals with grad degrees see pay bumps. 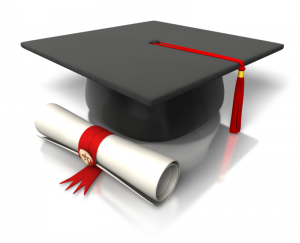 Figure out if/how a grad degree will affect your earning potential. This is especially important if you need to take out a loan, as you need to know if it will truly be worth the debt. Grad degrees are a huge time commitment, so make sure you’re prepared for that. Talk to your spouse and family to make sure they’re on board, and know for yourself you may need to make some sacrifices. What Type of Degree Do You Need and from Where? There is an abundance of graduate programs out there, so you need to make sure you’re choosing the right one. It’s only truthful to state that degrees from certain programs are worth more than others. Talk to your boss and network to learn what your best options may be. Is It Worth the Investment Right Now? Don’t just get a grad degree because you want one. After you’ve considered the commitment, timing, potential debt, job prospects and compensation boosts, you need to seriously make a decision on, “Is this degree worth it right now?”. If it’s not the right time, hold off on your plans. If you believe this is your window, then don’t let it slip away! Have addition insight into making the grad school decision? Please leave a comment! This entry was posted in Clients, Currently Employed, Job Seekers and tagged Advanced Degree, Career Advice, Grad Degree Potential, Graduate Degree, Higher Education. Bookmark the permalink.